Today you will discover how Expectorant Herbs work and the best herbs to use! Respiration problems occur when the cold and wet weather affects the functioning of the respiratory organs especially the lungs. Luckily, by use of herbal treatments, you can ensure that your respiratory system performs the way it should. We have various herbs that can help alleviate various respiratory problems including coughing, asthma as well as a sore throat. 1 What Are Expectorant Herbs? 1.1 How do Expectorants Work? The natural herbs that have expectorant, antitussive, demulcent, and antimicrobial actions facilitate this. Consuming these plants as tinctures or herbal teas can bring effective relief to these problems. As you can see, the expectorants work differently but all aims at bringing one sole purpose: ensuring that you breathe smoothly. Below you will find some of the types of expectorants available and how they work. These expectorants are mainly useful in case of excess mucous production. 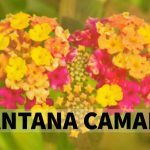 These herbs work by irritating the lining of the bronchioles chemically, stimulating the expulsion of the materials that congests the lungs as well as the bronchioles. This smoothing or stimulating expectorant works to suit the body needs. These herbs work by aiding the regeneration of inflamed or damaged lung tissue. After looking at the various classifications of the expectorant s available, we would want to look deeper and give you some of the herbs that you can use as home remedy to help you get rid of the respiratory system problems once and for all. The roots of the Angelica herb acts as antispasmodic, which helps in soothing the tissues. Consuming a decoction of the herb whenever you have respiration problem is beneficial especially if you are suffering from asthma, as well as an irritating cough. Thanks to the antimicrobial and expectorant properties, this warming herb is a great choice for lungs conditions that has clear white or cloudy mucus. Because of the herb’s emmenagogue action, pregnant women are advised to stay away from this herb. Additionally, the herb is said to cause photo-sensitivity in some people. Leaves from Ivy plant, scientifically known as Hedera Helix is also known as an effective expectorant. Medical experts believe that the leaves contain saponins, which help in thinning the mucus. We have several studies that show combining dry ivy leaf extract, aniseed, thyme, as well as marshmallow help in relieving cough symptoms(2). Although these studies do not break the combination of these components, the mere fact that it showed positive results is enough. We have other studies showing the effectiveness of this herb in treating coughs with the most recent helping understanding its mode of action. Simply known as the Coltsfoot also has expectorant properties. 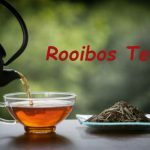 Preparing a tea from the flower and leaves of the herbs are said to be useful in treating various ailments including bronchitis, asthma, sore throat, whooping cough as laryngitis. If you like, you can also make use of a traditional European treat that used equal parts of peppermint, hyssop, mullein, as well as coltsfoot. Although extract from this herb is used in flavoring tea and toothpaste, it can be an effective remedy for a cough. This herb contains an ingredient referred as menthol, which is effective in thinning the mucus as well as loosening phlegm. While you can get this extract from your local drugs store, it is also available online. You can also make use of fresh peppermint leaves to make tea. The herb is safe unless for those who are allergic although this is rare. Note you should keep away from pure menthol as it is considered poisonous especially when ingested. We also have some complaints about some individuals developing a rash when they apply it on the skin. To avoid this, you should dilute it and test a small area for about 48 hours to avoid an adverse reaction. Am sure that most individuals are familiar with the strong camphorous smell of the eucalyptus. This herb has been used for long as an antiseptic spray in a hospital ward. The herb has also been used in liquid soaps for the same properties. The herb comes with potent antiseptic actions that help treat the respiratory diseases as well as digestive tract infections. Steaming yourself with about 2 to 3 drops of essential oil from this herb is enough for clearing your nasal passages. The herb works by dilating the bronchioles as well as aiding in breathing. Breathing the stream will also help in the expectoration of the excess mucous in lungs and sinuses. Since it comes with a diaphoretic action, this herb also helps in the secretion of sweat glands, reducing fevers. This makes a perfect choice for treating bronchitis, sinusitis, asthma, as well as chronic postnasal drip. This is a very useful respiratory that is also very helpful in speeding the recovery process for various lung infections. This herb is perfect especially if you are suffering from excessive bronchial secretions including trachea irritation, bronchitis, and irritable coughing. The roots will not only bring an expectorant action but also acts as an astringent that reduces production of excess mucus. In addition, this root acts as a diaphoretic and diuretic, the more reason to use it in relieving respiratory problems. This is another excellent expectorant that is useful in treating ailments such as asthma, bronchitis as well as other respiratory conditions that are associated with colds and coughs. Tea from fenugreek seed can also assist in relieving sore throat and dry throat. 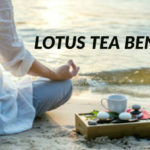 This tea contains astringent and demulcent action that plays a primary role in soothing the mucus membrane as well as improving their structure. Besides encouraging mucous expectoration, it also assists in reducing the production of mucus. Addition, the Fenugreek is one if the best recuperative tonics that help recover after a long debilitating illness. Despite the maple syrup like the smell from this tea, it has a bittersweet taste, which may not be pleasant. To improve its taste, you should add honey, lemon or Indian sarsaparilla. Thanks to their antimicrobial properties, the juniper berries are useful in treating lower and upper respiratory infection. 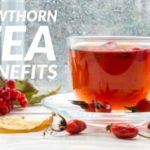 These berries also come with warming, expectorant actions and boost the production of the white blood cells, which helps fight the infections. Thanks to the diaphoretic actions from the hot tea of juniper berries, this herb is effective in treating fever. Osha Root is very effective especially in treating acute viral respiratory infections. The root works by soothing and anesthetizing the bronchial inflammation as well as a sore throat. The root is also an excellent expectorant that encourages mucus expelling which is great for hacking dry coughs. 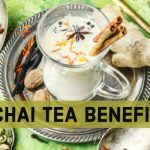 Besides the tea will also increase the oxygenation in the lungs and acts as a diaphoretic that assist in breaking a fever. What’s more, drinking this root will help eliminate the infection from the first instance. Featuring various properties including antifungal, antibacterial and antiviral this herb is also effective in treating various respiratory tract conditions including flu, cold, asthma, bronchitis whooping cough and sinus infections. Additionally, thyme possesses the antitussive and expectorant that is useful in treating the dry coughs. This is an infusion of the mullein. It is an effective remedy to deal with irritated lungs as well as a raspy throat. The leaves of this herb possess the demulcent and expectorant properties that help boost the secretion in the dry mucus membranes. Although Honey is not a herb. It’s still natural, sweet, and soothing. We have several studies that suggest that it can also help in loosening the gunk in the chest. We also have various studies conducted on the same subject that show other positive effects in treating cough. For instance, in a study that was conducted in kids that had serious upper respiratory infections found that honey had positive effects not only on improving the kid’s sleep bit also relieving the cough(3). Effective results, you should mix a teaspoon of honey in a cup of warm milk and give the child before going to bed. However, you should avoid giving honey to children under the age of one year as it increases the risk of botulism. This is an antitussive agent and respiratory sedative that helps in alleviating shallow or rapid breathing that affects individuals with bronchial infection or asthma. This herb will assist in strengthening the respiratory system. Wild cherry barks is a respiratory sedative and antitussive agent. This herb will also do a great job in alleviating bronchial infection. Beside it assists in relaxing as well as strengthening the respiratory system. One of the most common cold seen by pediatricians is the coughing caused by the upper respiratory infections. Using any or a combination of the above expectorant will help loosen the mucous blocking your respiratory system. This will fight the infection and make you feel better. 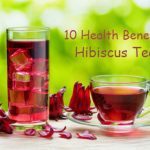 While there a few controlled studies were done to prove the effectiveness of these herbs, the good news is that is that they have been used for a long time showing positive results. However, if you use these natural treatments and still find no improvement after two weeks, you should visit your doctor. 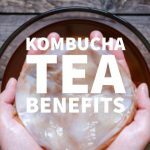 This will help rule out infections that may be serious.